Let’s go mining…for gold! If you have never heard of cryptocurrency, have no idea what it is, I suggest reviewing the basics here: Cryptocurrency Wiki Rewind the clock a few years, Litecoin was the name of the game! Well, let’s be honest, Bitcoin has always, and continues to be, the gorilla in the world of cryptocurrency. However, there is one major flaw for guys like me as it pertains to Bitcoin…In order to get into the cryptocurrency world, there are essentially two major ways: buy it or mine it. Buying it is self-explanatory. If one Bitcoin is worth $2,000 USD, then you can go to any of the major exchanges, such as Coinbase or Bittrex, and simply buy it. This is no different than investing in the stock market, you’re just investing in a different vehicle, but the same concept. Take Litecoin. It uses the Scrypt algorithm. In today’s market, factoring in current difficulty, current hash rates possible from a GeForce GTX 1070 Founder’s Edition (the GPU we will focus on), can only crank out ~880 KH/s! Multiply this by 6 total cards, and after you account for additional power consumption, this costs you money instead of making it. In contrast, let’s look at the new/upcoming Bitmain Antminer L3+ ASIC! This is anticipated to be released in September of this year (2017). This device will be able to crank out ~504 MH/s using ~800W of power! Notice we have gone from Kilohashes to Megahashes per second! This, on the other hand, is profitable to leave running continuously all day. Better yet, imagine a farm of these running in tandem! Before we get completely off the ASIC topic for this post, keep in mind Bitcoin is even more difficult to mine. The only option you have today is an ASIC, such as the Bitmain Antminer S9. This is only mildly profitable (as shown below). If you are serious about wanting to mine Bitcoin, you better have deep pockets! Now, let’s talk about GPU mining.. When I first got into this, it was several years ago with Litecoin. Back then, I had 2 separate rigs, each with 2 video cards. This was essentially two separate computers, with motherboards, RAM, HDs, GPU’s, Windows, PSU’s, etc.. The problem with this approach is the power efficiency wasn’t great since I was running two separate machines, with 4 total GPU’s under full load. This would actually cause the breaker to trip on that circuit! Newer house, everything is GFCI. I was finally able to dial them down to where it was stable, and mined for several good months. During that time, I was able to acquire 53 Litecoins. I was mining to an offline wallet, as opposed to using an online/cloud-based wallet, such as Coinbase (my favorite today). I remember it like it was yesterday, when I first started mining, each Litecoin was worth around $50. By the time I decided to sell the gear and quit, it had bottomed out down to $1-2 per coin. So, even though I was able to collect 53, it was barely worth $100 bucks. Not enough to mess with, so I just left that wallet file in my Dropbox account.. This time, I knew I wanted to build a single rig capable of handling 6 GPU’s and dual power supplies, instead of multiple rigs. I also didn’t want to build strictly a mining rig, but a new home computer for the home office. I previously had a 27″ iMac that only had a Core i5 and a fusion drive (don’t ever buy these, just pony up and get a full SSD)! Rendering 4k videos with Adobe Premiere and other things run at light speed on this machine compared to the iMac! If you are looking to get into mining, you do not need all the above.. The most critical component is of course the video card(s). I have found that the GTX 1070 is a nice sweet spot between overall hashrate/power/cost. The R9 series from AMD (if you can even find them) come in a bit cheaper, but have lower hashrates than the 1070’s. Power is another crucial component. The name of the game is profit, so buying a cheap power supply that isn’t rated gold or platinum is a mistake, as that will eat into your profits by using more electricity. Definitely stick with gold or platinum. I was considering, at most, each GPU would use 200W of power. This would mean, under full load, the GPU’s alone would pull 1200W, not to mention the rest of the rig (motherboard, RAM, HD’s, etc..). I went with dual 850W power supplies that are more than capable of handling the cumulative load. With that said, in order to squeeze out the most profit possible, running the cards at 100% isn’t always the best idea. Remember, we aren’t playing HALO 3 or Call of Duty here, we are mining. This means you can actually dial back the power limits of the cards using a tweaking tool called MSI AfterBurner to control power usage while keeping a high hash rate, saving you money! Okay, so how do I get started once I have my rig? First, you need to decide how you are going to mine. There are essentially two ways to mine, solo or pool. Solo mining simply means you are doing your own mining, trying to find a block from the chain; however, in order for this to be successful, you need a ton of hashing power. There might be delays of 20-60 days before you actually get paid (before you find a block), or potentially even longer. Once you do; however, it could mean a full Ether (what the Ethereum currency is referred to as), which could be $200+ dollars! The problem with this approach, at least for me, it is extremely unstable. I like the idea of getting smaller payments, MUCH more frequently (as quickly as every 24 hours, sometimes faster). So, for purposes of this post, we’ll focus on pool mining. Pool mining simply refers to the approach of you taking all your hashing power, and combining it with that of all members of the pool. This means the pool is able to find blocks VERY quickly, some pools as quick as every 2 minutes! (remember, this could have taken you 30-60+ days mining solo) Based on the amount of horsepower you contribute to the pool, you receive shares once a block is found. Once you have enough shares to equal a minimum payout, you get paid. This is much more consistent. 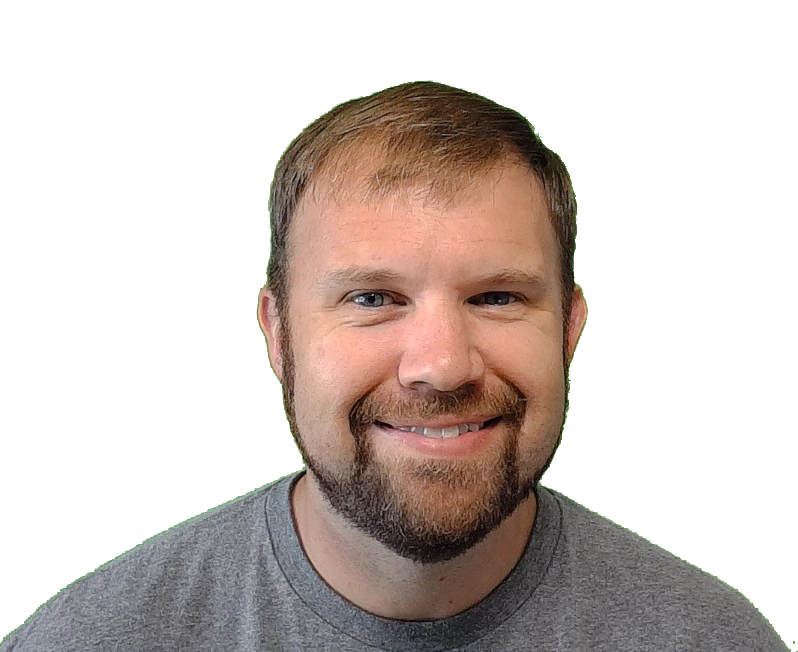 Now that we’ve discussed the two ways you can mine, let’s talk about the two approaches I have used, as well as what I am currently doing. When I first started, I was mining on the Ethermine Pool. This was a great experience, was stable, consistent payouts, no gripes at all. 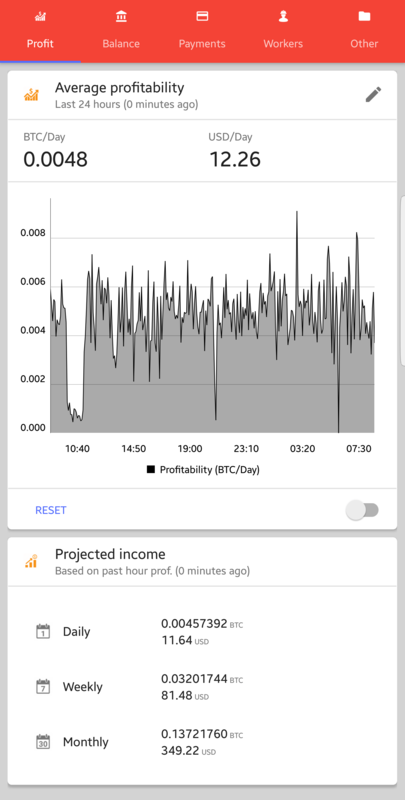 They even have a mobile app for Android devices to keep tabs on your miners. The problem, if you can see it as such, is that you are only mining Ethereum. Ethereum, although hot today, isn’t always the most profitable coin/algorithm to be mining on, because the market fluctuates. If you want to experiment with mining on Ethermine, I highly recommend using the Claymore Dual Miner. This miner can mine strictly Ether, but can also be configured to mine an alternate coin without hurting your hashrates of Ethereum. 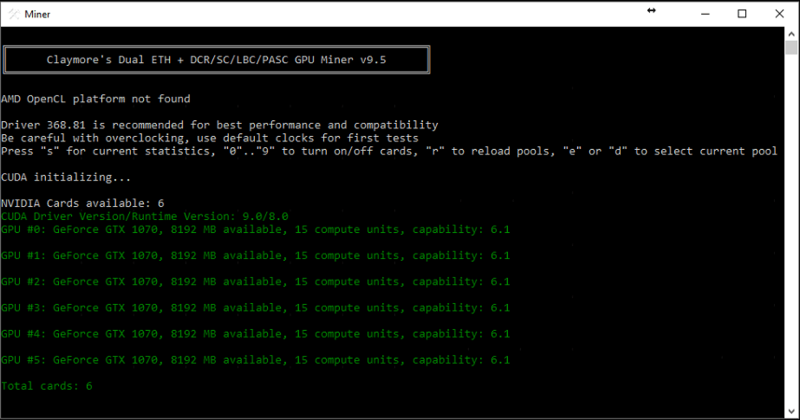 This requires some knowledge of how to configure the miner, CLI experience is a plus here. This only uses your GPU’s to mine. There are plenty of blog posts on the web discussing this in great detail, so if you want to mine Ethereum exclusively, please Google. Nicehash is the way my friends! What I am currently doing today, and what I want to primarily focus on, is mining on Nicehash! There are so many reasons I love Nicehash, so let’s discuss a few. For starters, you are always paid in Bitcoin. Bitcoin has remained the primary cryptocoin for years now, and, generally speaking, is worth the most and is the most stable. Speaking of stability, please don’t even get into this if you can’t handle volatility!!! Cryptocurrency is VERY volatile right now, and you can see drastic swings in values, much more so than the typical stock prices! Having said that, Bitcoin is generally the ideal coin to hold. If you want to diversify your holdings, which every smart investor should, you can simply take those Bitcoins Nicehash pays you in, and buy other coins at Coinbase to keep your holdings distributed. The second main reason I use Nicehash is simplicity! You don’t have to be a guru at CLI, no custom configuration files, it’s just plain simple and easy to get started. You simply go to new.nicehash.com, setup your account, say you want to sell computing power, download their software, insert your wallet address, and you’re off to the races! Easy as it gets! Once you install their software, you can benchmark your gear to see what type of hashing power you are capable of. 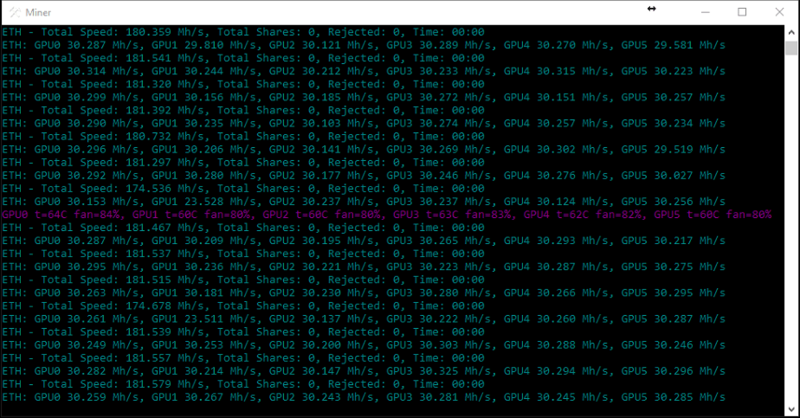 Yet another nice bonus of Nicehash, you can dual mine on both GPU and CPU. Again, the CPU mining doesn’t offer the same level of profit as GPU; however, if the rig is otherwise dormant, why not? 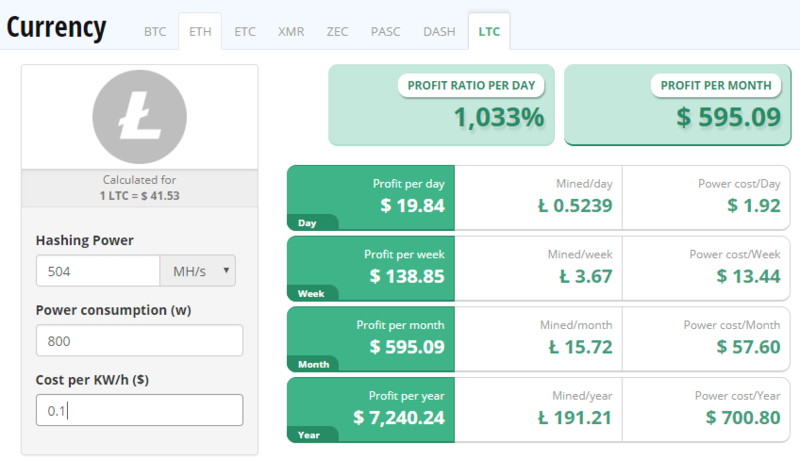 Their interface is very polished and refined, plenty of mobile apps to support miner monitoring (to be sure your miners are working and connected), and very stable! Probably the biggest reason why I love Nicehash is they can automatically switch up algorithms to put your gear to work mining the most profitable coin at the present time. We’ve already discussed volatility, and how the values fluctuate with certain coins. If Ethereum is the most profitable during the morning, then Nicehash will mine it with your rig. 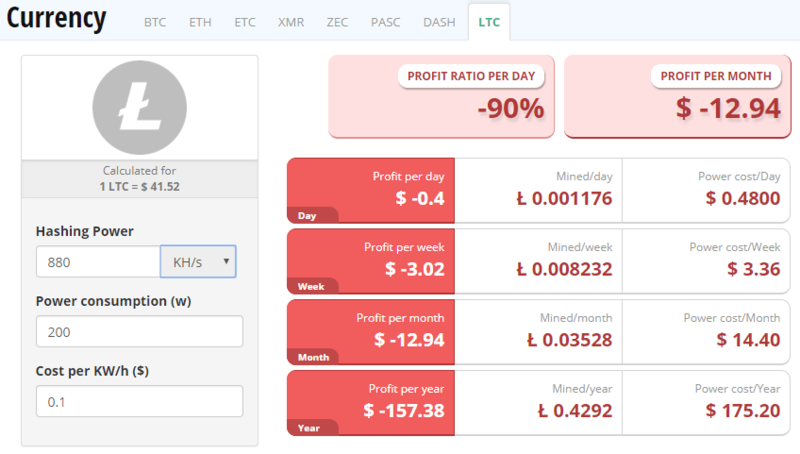 If say zCash (another Altcoin) becomes the most profitable in the afternoon, Nicehash will switch your gear, automatically, to start mining that algorithm to maximize your profit potential! For this reason I feel that Nicehash offers the highest possible profit potential of any pool model using your mining gear. This also takes into account the current difficulty of each algorithm, so it monitors several key aspects of the overall profit margin. 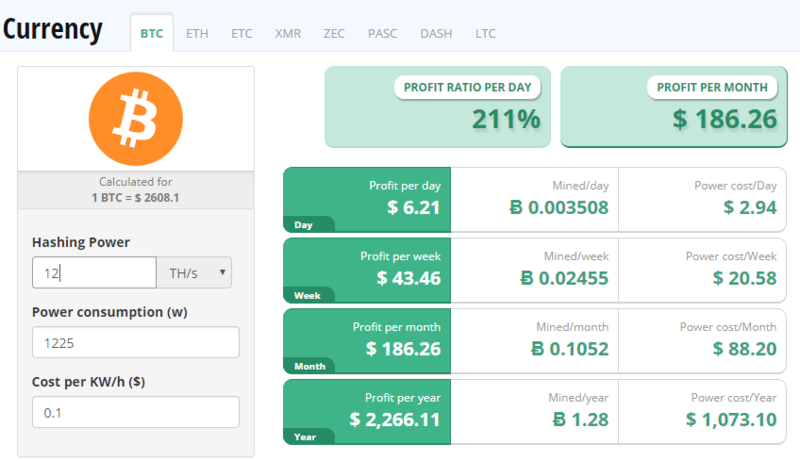 *The estimated profit per month shows less than Ethermine due to values dropping some and difficulty rising, as those screenshots were taken at different times. As far as stability goes, this is where you need to optimize your rig, tweak your settings, and fine tune everything. To do this, you’ll need to download the MSI AfterBurner utility. For my setup (your mileage may vary), the screenshot below is exactly how I have my rig configured (same settings for all 6 GPUs). The Core Clock doesn’t do much of anything for hashing power, and the higher you clock this, the less stable the system becomes, so I found that actually underclocking it helps with stability. The Memory Clock is where the magic happens. For me, anything beyond 700 seems to have issues with random memory faults and crashes, so I opted for stability with performance vs all out maxing everything to 11. You will likely need to test, tweak, and re-test to find a stable setting. This setup is able to crank out ~180 MH/s! Temperatures are also critical for the longevity of your GPU’s. With the above settings, in the current case I have (which offers plenty of spacing between cards for cooling), my GPU temps hover from 62-68 Celsius. 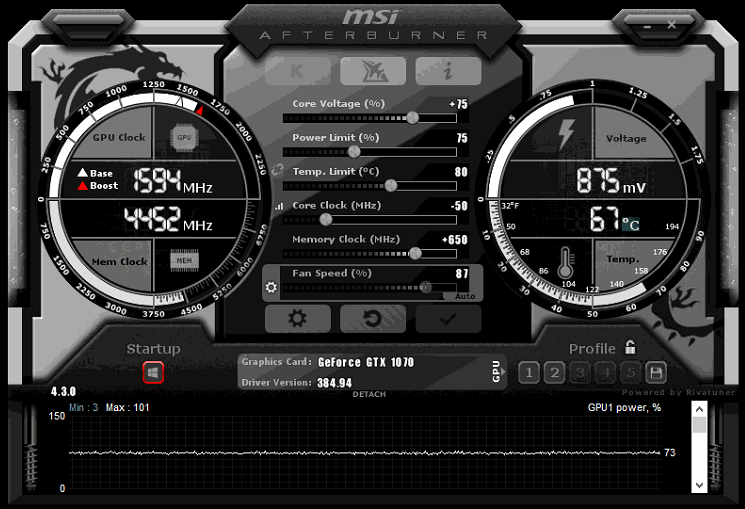 This is another reason why you want MSI AfterBurner installed, to keep tabs on temps. Once you get off the ground and mining with Nicehash, you’ll want to head over to Coinbase and setup an account. This is where you will want to aggregate your earnings. From here, you can exchange Bitcoins for Ether and/or Litecoin to diversify, as well as cash out in regular USD and transfer to your bank account. Coinbase also has a nice mobile app to help with this. Cryptocurrency is a strange animal. If someone would have told me Bitcoin would go from pennies on the dollar to being worth nearly $3,000 for a single Bitcoin in a few years, I would have, of course, said you’re insane. But, if I would have listened, I could potentially be retired right now 🙂 So, with that said, yes, the market is very volatile. You can’t enter into this space without a backbone of being able to hold your coins through the up’s and down’s. There is risk, as there is with any investment. The one bonus you have here is you own the gear. Worst case scenario, coins bottom out again, I can always keep the rig I have built as my nice home PC and simply sell off 5 of the 6 GPU’s on eBay. So you own that asset is my point, so it wouldn’t be a total loss. Nicehash, for me, hands down, is the way to get started. Simply setup your account there, setup your Coinbase account, start mining, profit.. Please feel free to ask any questions below, and thanks for reading!